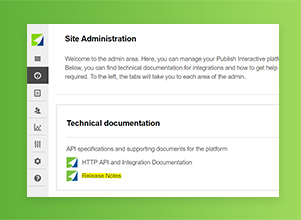 Our November release is about to launch with improvements to session cookies and login security, automatic refresh of expired user sessions, and faster publishing for large reports. We have made the platform more robust by tightening security around session cookies and login, ensuring HTTPS is used for all client-server communications and protecting your site’s data. Pages will now automatically refresh when the user’s session has expired. This allows all interactive pages to work seamlessly, without having to prompt the user to authenticate after 12 hours. To speed up the process of publishing large reports, attachments that are larger than 50 MB will no longer appear in search.